This is a traditional Shibori dyeing class for complete beginners who are interested in this beautiful Japanese dyeing technique. 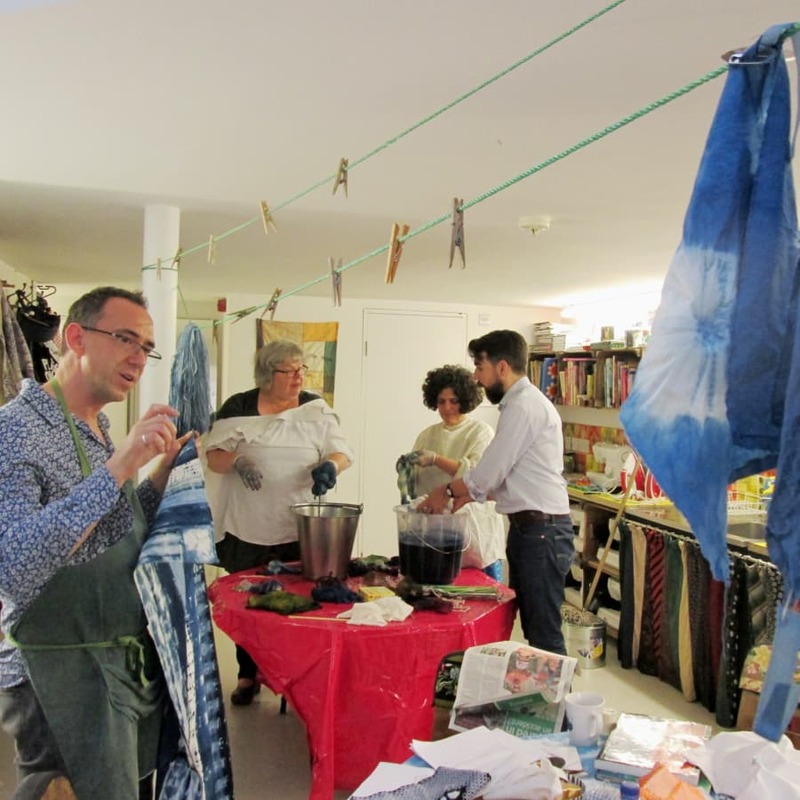 This is a traditional Shibori dyeing class for complete beginners. Learn the traditional methods of this beautiful series of techniques and how to dye your creations in indigo to achieve a range of beautiful blues. You will be taught a number of traditional Japanese patterns, which can be modified to suit your own design ideas. Your approach to the intricate process and variations in tension and pressure applied in construction mean that every piece produced is absolutely unique! 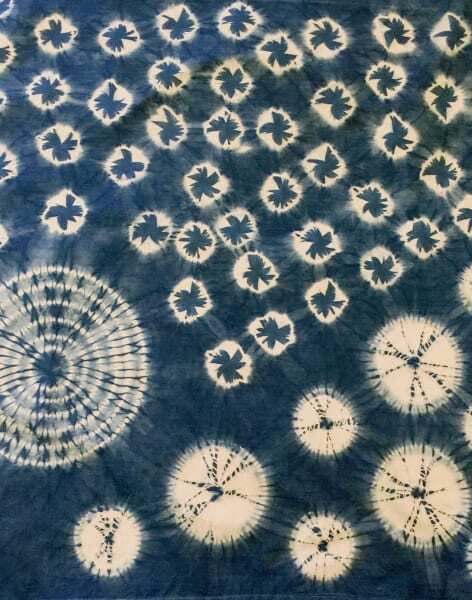 If you're not a complete Shibori beginner and would like to attempt the more advanced 'Next Steps Shibori' afternoon class, please click here. Otherwise, feel free to book the fun full day class to both gain the basic skills and attempt more advanced techniques! Learn the traditional methods of this beautiful series of techniques and how to dye your creations in indigo to achieve a range of beautiful blues. You'll perfect a number of traditional Japanese patterns, which can be modified to suit your own design. Finally, you'll learn to dye with indigo using a pre prepared vat as well as how to unpick your finished work to reveal your designs! 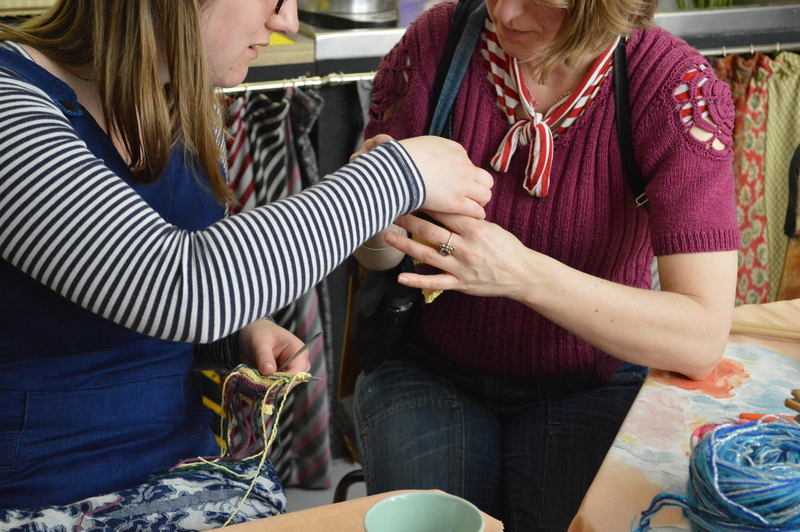 Your Fabrications teacher Rob Jones is experienced in shibori and will help you every step of the way. master some truly beautiful traditional Japanese patterns to practice on some clothes at home, bring back those hippy youth days! 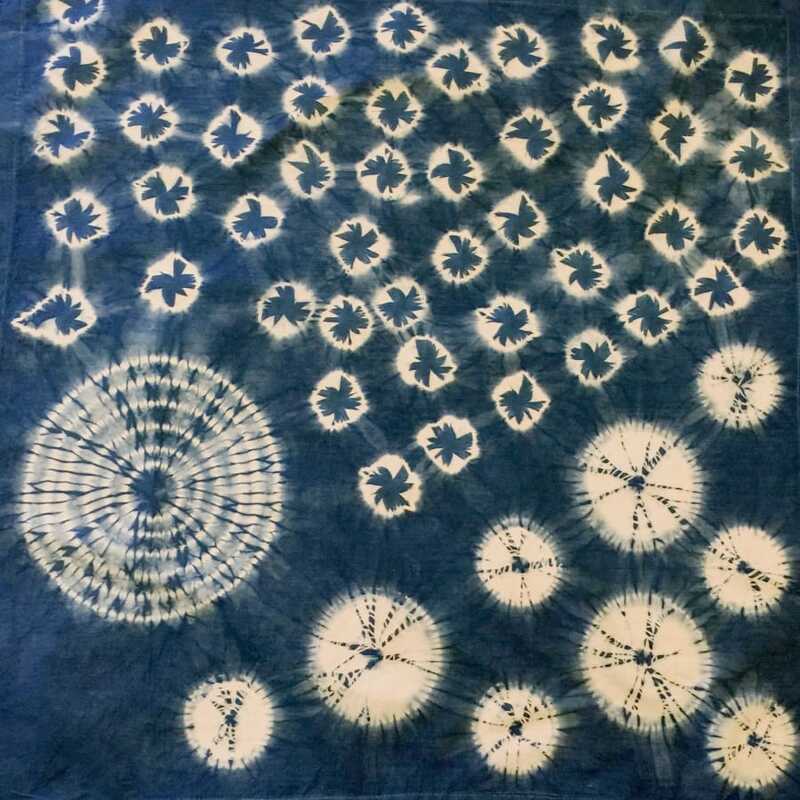 Your beautiful, unique shibori creation, all for you! Shibori is known to be one of the oldest Indigo dying techniques in Japan, most popular in the early Edo period (15-17th centuries) when the lower classes were forbidden from wearing silk. * bring along some small textile articles to upcycle, e.g. napkins, t-towel, t-shirt, pillow case or 'fat quarters' * Fabrications has some fabric you can use and we will also provide you with a tote bag you can Shiborify! NB: fabrics must be natural fibres, cotton or linen are ideal and must have been washed and dried in advance of the workshop. The fabrics can have a slight print on, which will get over dyed.